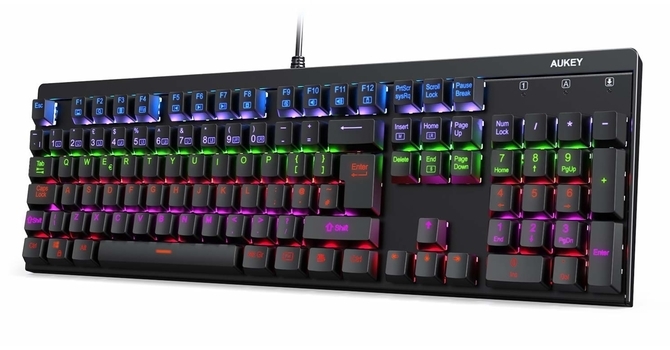 We here at TechPowerUp have been impressed with Aukey's past mechanical keyboard offerings, be it the KM-G4 with software-driven RGB lighting or the KM-G8 that took on membrane keyboards at the sub-$40 price point. 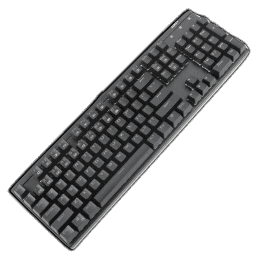 Going by their naming scheme, it appears that a backlit mechanical keyboard between the two was going to happen sooner or later, and that is exactly what we have here. Today, we take a look at the Aukey KM-G6, and thanks again to them for sending along a review sample. Fitting in with the Aukey keyboard naming scheme, the newer KM-G6 has a feature set that is between the KM-G4 and the KM-G8. We have multicolor backlit keys in contrast to none on the KM-G8 and extremely configurable RGB backlighting on the KM-G4. They all use the Outemu Blue mechanical switches, although Outemu has updated their switch design recently, as we shall see soon. The KM-G6 is visually similar to the others, but neither of those use the same case. So it is not just a situation of Aukey designing a feature-rich keyboard and taking out some to create new SKUs. There are no doubt some value-oriented expectations from readers the KM-G6 has to meet, and we begin the review with a look at the specifications below. 1.20 kg / 2.65 lbs.